CII maintain a clear focus to partner with mining companies to advance the innovation of conveyor technology, achieving significant cost savings and vastly improved performance standards. CII . Conveyor Innovations International Pty Ltd is an Australian company that specialises in the design, manufacturing and supply of Conveyor Idler Rollers. Located in Emerald Queensland, with a manufacturing facility in Sydney. CII’s current production roller is the Gen 7. The whole purpose of CII’s roller design has been to eliminate the causes of failure which are inherent in conventional rollers. The benefit of using CII rollers is that mines and ports will use less rollers over time, which translates to increased production and significant cost savings. Materials-handling conveyors are the life blood of mines and ports, moving on average around $400,000 – $1,100,000 of materials per hour. If a key conveyor stops as result of the failure of a conveyor idler roller, the whole operation can stop whilst the roller is replaced. CII’s specialised research for conveyor idler rollers lead the development of the CII Roll App. Developed to collect and record idler roll performance using a smart device such as an iPad. It was during the development phase that we began to explore the process of how to detect roller failure. Essentially, this lead to the development of the smart Roller – iRoller. The heart of the iRoller is the iMonitor, a microelectronic device with accompanying firmware that can be fitted to a conventional roller such the Gen 7. The iMonitor, is a Bluetooth device that is designed to automatically detect temperature, vibration, and operational hours. What it does, is send the information in real time to a controller, which then relays the information site control or the Cloud. In addition to being able to monitor the information from an iRoller on a computer screen, we have developed a system using Microsoft HoloLens to enable mine personnel to monitor the whole conveyor system on a site in real time in a 3D Holographic environment. This environment can be extended to the whole mine site or port so that the information can be viewed offsite, by management as a digital twin.  Specialist CNC engineering products – e.g. shear pins for underground mining and idler rolls CII also has a wholly owned subsidiary Nogoa Engineering which specialises in refined CNC lathe products such as sheer pins for longwall miners and also pins for railway wagons. The Gen 7 has a specially designed bearing assembly or endcap, which is mass swagged onto the end of the tube, under around 35 tonnes. The advantage is that it eliminates the need to weld the ends of the roller. The bearings can be either double-angle contact bearings or double-roller tapered bearings. A safety bar can be inserted (like a mini-axle) between both endcaps, however there has not been any requirement since the Gen 7 went into production. Endcaps. These bearing assemblies or hubs contain the axles and bearings, and are ideal for high speed conveyors. The Gen 7 bearing assembly is made of a hardened alloy to reduce the impact of corrosion on a steel bearing assembly (a major maintenance issue – until now). The CNC manufactured endcap has internal allowances to withstand extreme stress and will not fracture during use. No loss of lubrication and no bearing deflection which limits failure. Beneficially, it is mass swagged rather than welded construction, significantly reducing the occurrence of damage or breakage. Dynamic Load: 7 kN; and Static Load of 5 kN. Using CII.Bearing (vs a bearing used in a conventional roller), enables the roller to take both radial (vertical) and axial (horizontal) load. 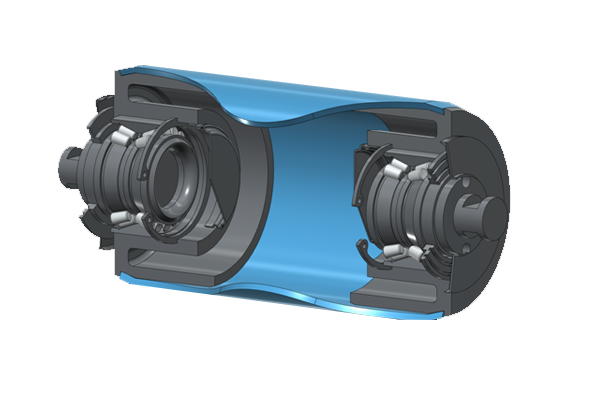 Sealed Unit: a sealed bearing unit with negligible drag at the rim to overcome the traditional causes of failure of rollers. The endcap is CNC machined, so that the bearings are seated perfectly within the end cap and the inside is sealed to negate ingress into the back of the endcap. The internal space between the back of the bearing and the axle which is held in place by a special cap, contains additional grease to prolong the life of the bearing. Tube: CII manufacture three tube types: Carbon Steel, VitreSteel and Aluminium. Carbon Steel and aluminium are about 280 MPa. Whereas the VitreSteel is extremely tough and outperforms conventional designs with an impressive 650-750 MPa. Weight: by removing the axle (internally along the length of a conventional roller) it significantly reduces the weight of rollers over 1000 mm in length. Serial Numbers and Manufacturing date: for QA purposes each CII endcap is identified with a serial number and a delivery date. CII paint the tips at external ends of the shafts, for example: painting axles blue for 2018, (the colour will be red for 2019) signals approx. year of installation, and how long they have been in service. Therefore, installations during 2018 create an accurate method of tracking of all 2018 CII rollers – on site – at a glance (grime permitting). CII provides a warranty of 3 years for Carbon Steel, and a warranty of 5 years on VitreSteel rollers. The extended warranty covers both bearings and shell wear. In extreme situations where the conveyors are not CEMA or Australian Standard compliant, the conveyors are reviewed on a case by case basis. Our Endcaps eliminate the need to weld the endcap into the tube. Eliminates endcap break away from shells. The CII Gen 7 is machined. Conventional size of bearings is governed by the axle. With a 30mm shaft our bearings provide 50-66% greater life-force. CII provides increased axial (vertical) load. Improved alignment due to inbuilt components which greatly eliminates deflection. A full shaft adds considerable weight to roller (over 1000mm). CII Rollers are 30kgs as compared to conventional rollers of 47kgs. 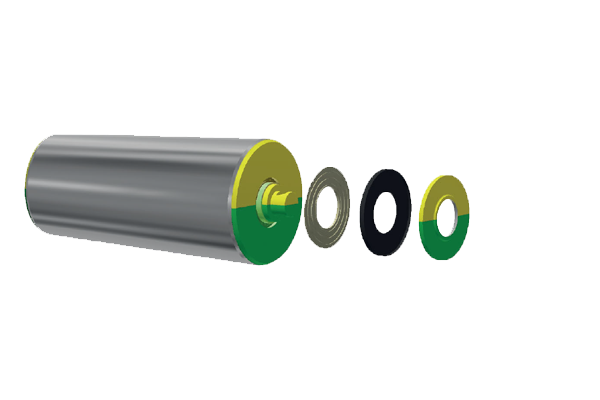 CII rollers have sealed endcaps (bearing assemblies) to eliminate ingress of moisture and debris. Conventional rollers do not have a sealed unit. They comprise a weep hole in the endcap to stop pressure building up within the shell (losing grease within bearings). Debris can enter weepholes causing a build-up, exposing rear seals (if present), and destroying the bearing. Moisture drawn into the rollers can work its way into the bearing causing rust. Generally a warranty is not provided with conventional roller manufacturers. CII is backed by our ‘Industry First’ – 5 Year Warranty. CII Technology out-performs our competitors and is prone to less failures. Innovative Conveyor Solutions developed to significantly reduce operating costs, leading to increased productivity and improved risk assessment. CII’s Gen 7 Rollers perform reliably, have greater load bearing capacity, a longer life than conventional rollers and are lighter for longer length rollers, where it counts. Reduction of Unscheduled down time: CII Rollers by their design are robust, so this reduces their failure rate at site. Vastly decreases rate of critical conveyor failure or unscheduled shut-down. CII enforce longer length rollers, where it counts. If a mine loses 2 hours in unscheduled down time a month this would equate to about $10,108,800 per annum. CII has greater load bearing capacity and a longer life. A well run conveyor enables a mine or port to extend its shut downs from 4 weeks to once every 8 to 12 weeks. Where a 24 hour shut down of a mine (conveyors travelling at 3,600 tonnes per hour) is extended from 4 to 8 weeks this will equate to 120,000 tonnes per shut and save the mine about $60.7 M p.a. Our mine-stire surveys show a reduced number of rollers required over extended periods, resulting in significant cost savings. Over time we have reduced our clients’ large number roller requirements, their supply, delivery and installation – resulting in less downtime and increased productivity. Our replacement rate of rollers under warranty is about 0.82% per annum. The savings by using our rollers are significant. This means increased productivity, labour and replacement rollers cost overall. CII continue to develop technology to advance production, decrease costs, and increase efficiency. CII . The Future in Conveyor Innovations.